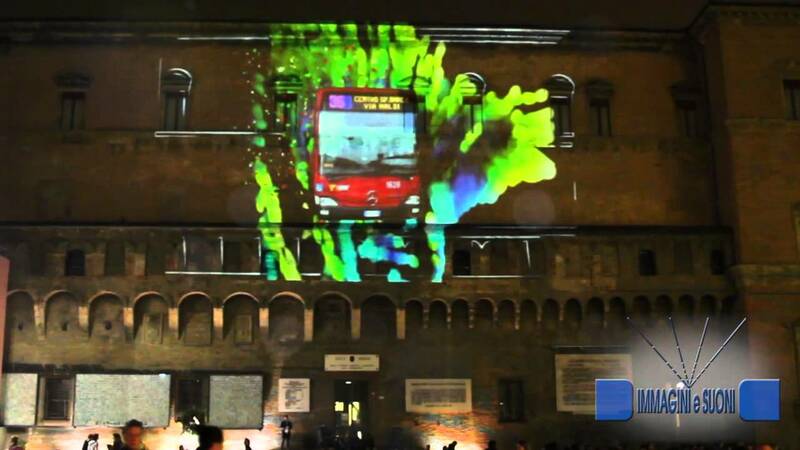 Immagini e Suoni, SRI Group and Apparati Effimeri studio designed and built for this event an interesting 3D mapping on the facade of D’Accursio Palace at Piazza Maggiore. A highly technological performance dedicated to emphasize the city’s multimedia initiatives for an innovative urban synergy. A prestigious scenery for an announcement, which uses cutting-edge 3D mapping techniques on architectural structures for promotion and presentation. For the experts, here the technical details: 2 full HD projectors from 20,000 ANSI lumen managed by a digital system Pandora’s Box, combined with an adequate sound system considering the characteristics of the site to reach a perfect and emotional experience.